What I do on every last day of the year since twenty four years ago is predictable. I had always woken up early and fondly reminisce getting ready to go fetch my bride. It was also the last time my mom woke me up as I will never sleep at my parents' place again. This has been a very busy year. Since yesterday I had dwelt on a February wedding that is never going to happen because the bride to be had died. I have no time to think about myself. My sis's colleague had also passed away recently in November. She was months away from getting married. A brain aneurysm and an unsuccessful op ended her young life. I am glad I have this blog. Early this morning I went to check what I had posted before on this day. I played Julie Roger's song on YouTube in this blog and decided I must provide a placeholder for another performance of the same song. I just took this pic from a well written article by Sadanand Dhume in the WSJ. Yesterday I wanted to make a post with a photo of protesters, which I am spoilt for choice which one to use. I just wanted to write GRIEF. When you have too many thoughts you can't write but grief is how I felt in every train of thought. 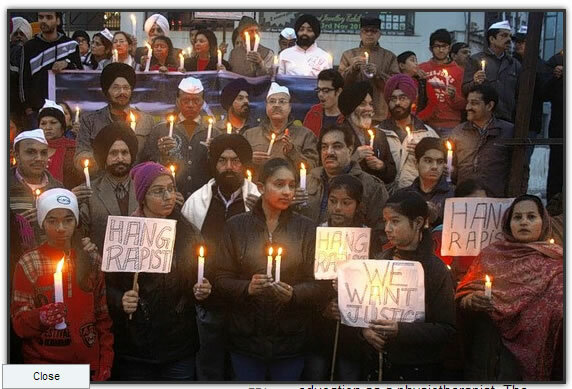 I also hope the rapists will hang for this most heinous crime. Only the most cruelly killed girl's parents can save them now but clearly Indian society will not allow that. Gross injustice had persisted for too long that mercy must wait or there will be more tragic injustice. Yesterday morning my daughter asked if I was aware that the young victim was planning to marry in February. What a tragedy. They are on a fast track to meet God. For the better, I hope this is the tipping point for India. Imagine what the Samsung Galaxy S4 might look like. 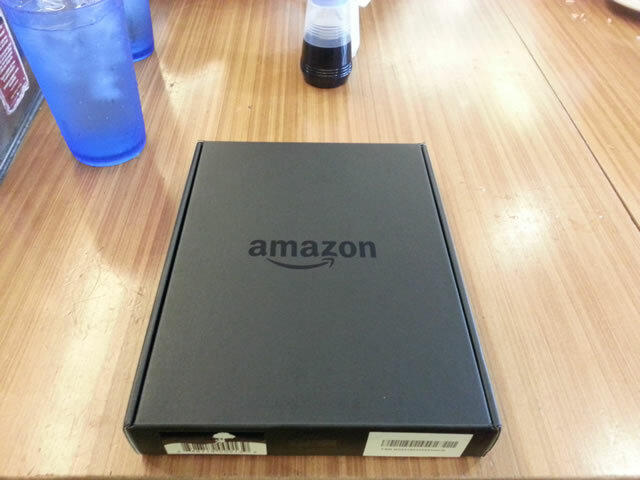 Quite impressive but not enough for me to pony up more money to trade in my S3 which is exceeding my needs already. Women in their 30s to 40s fearful of losing jobs? Looks like you will spend the greater part of your life afraid and stressed. No way to live but it is a choice everyone has to make. We would love the trade offs to be less punishing and in the end a large number of them are just going to burn the candle at both ends and even in the middle if that was possible. They are afraid to lose out to those who run the rat race harder. Wifey isn't afraid of losing her high paying job. We made the difficult trade offs earlier and because we started early, it wasn't any where as painful those in this clip shared. Don't expect the government to solve your problem. They have become clueless as they are trapped like you in a box. Money is not everything but everything is money. Wise advice from an old friend when I got married. We have ran this place on everything is money and never had the wisdom to understand that money is not everything. Using price as the instrument of policy only make sense when it does not impugn money is not everything. This is clearly the case for transporting people and goods today. The message we are inculcating in the young is to be materially successful or life would surely be inconvenient may be painful. It is a bankrupt philosophy which can only bring us to an early demise. Government soaked in the praise for being an Inc. but duly forgot the lesson of history than commercial organizations have the shortest lives. Just look at how quickly membership of the Fortune 100 change. The everything is money approach is guaranteed to eventually be a big vote bank loser. I am amazed at their stupidity. You will always behave stupidly when you caught religion. I see this happen over and over again in the history of Christianity. We will not be as fortunate as Christianity. We can't even better Venice by a long shot. This government is even more out of touch than the GOP in America. Read Ben Ong's suggestion which is articulated by many too. There is no perfect solution to this COE problem but balloting is certainly superior to auctions. Want to play it safe which civil servants love to do? Copy the playbook of the HDB. Balloting for new flats and a market driven resale flats, i.e., ballot for COEs but used car are market priced. Many ideas superior to auctions are available. Just don't be stupid and stubbornly stay with the worst idea of all. Be flexible. There might be times where auctioning COEs make sense especially when public transport is as efficient as Hong Kong. This is not that time. I think it all started when AHTC had a worse report card than the other 14 PAP TCs. Sylvia Lim explained the extenuating circumstances which landed them there pointing the finger at the PAP. I had received emails from friends about this but otherwise hadn't followed it closely. I also prefer to read about it from Yahoo News than the MSM which is always biased as long as they can get away with it. On the other hand Yahoo lacks the depth and skills of top rate journalism. I decided I would watch and see how this saga plays out. TKL posted Lucky Tan's take on this on his facebook page. This chap is worth reading even if I often find fault with his arguments. I think he has been quite successful at carrying many with his views though. This fellow joins the dots very well but the problem is like most of us he is also a victim of confirmation bias. It takes tremendous effort to battle this tendency especially if you are trying to succeed in investing. To be fair to everyone, few succeed. To me not all the facts are out in the open yet. We can't make a judgement until then. Unfortunately the way this is going the full facts might never be revealed because we can then see who has been untruthful. Reputation and character are too valuable to risk. In politics truth is often the casualty. Trust is eroded and we are all losers. As the overwhelmingly dominant political force here, I expect the PAP to assume moral leadership but it has always preferred to descend to the the level of legalism. How I wished they had responded swiftly with the full facts in the face of WP accusation. A delayed response can only contribute to doubt. The behavior of our politicians and civil servants again remind us that it is wiser when we trust we also must have the wherewithal to verify. The bad habits of our politicians is eroding trust to the point that tough and necessary policies will become impossible to sell. Replaced the old bathroom scale ($58) with brought back from our stay in Dubai with this obviously better one. Takashimaya was really packing it in yesterday. Clearly they have drawn away shoppers from next door Isetan. 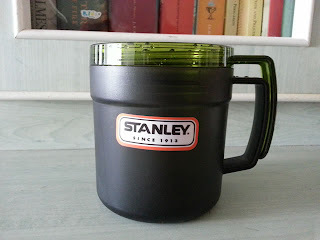 Bought myself a $13 Stanley insulated mug at Taka too. No match against thermos type. I try to get at least of photo of this tree at Ngee Ann City concourse every year. Perhaps I ought to paste the front page news here every Christmas and New Year Day. Over time they will become like old photos. ST had done well to grace the front page with an event organized by HOME for FDWs. Each one was given a $10 to spend at the food court at 112 Katong. I was also hoping to take an early morning walk at the Botanic Gardens but a drizzle put paid to that idea. 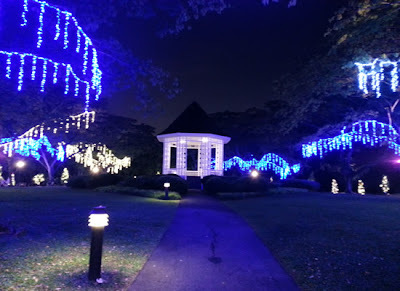 It would be lovely to walk among the lighted trees as day breaks. Just as well the kids have a good sleep in then. Pic taken on an earlier trip to the Gardens early this month. This is what I had hope to experience again this morning but for the rain. 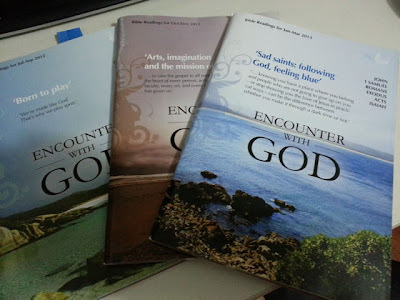 Bought the elder girl her next quarter of 'Encounter with God' after lunch at West Coast Plaza yesterday. So she had been using these devotional guides for the pat half year already. How time flies. I used them too long ago. I had started with Daily Bread before moving on to these. 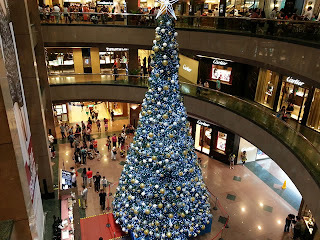 Friday morning we were at the museums and then shopping for Christmas gifts at Raffles City in the afternoon. The daughter noticed nearly everything at Swarovski cost more than a hundred dollars. When we got back she took out her collection of old catalogs to check the prices. She found out that many of the common items the prices had shot up markedly and some by as much as 40% since 2008. 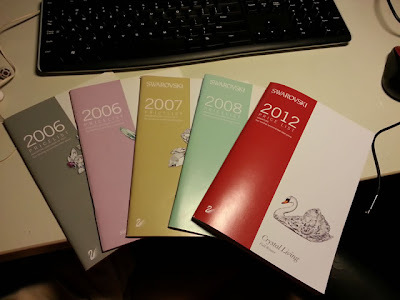 Swarovski has such good pricing power. 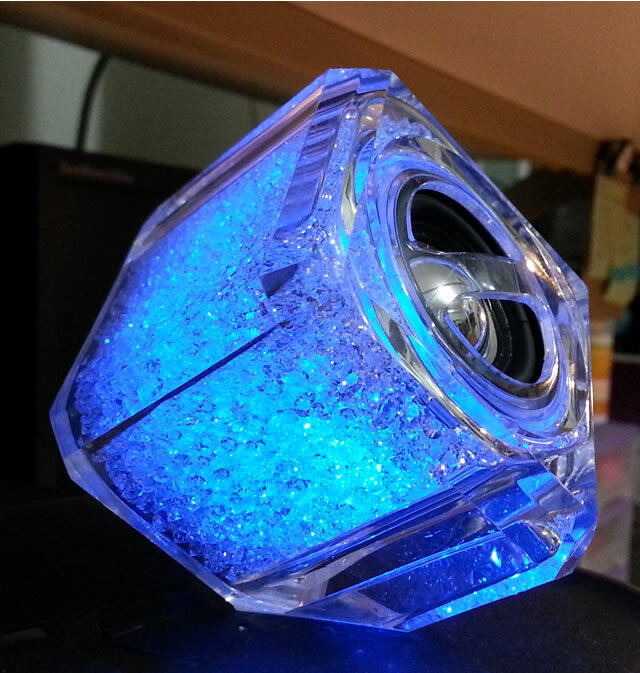 Got one of these from Swarovski because we spent at least $400 at the outlet. Had our annual Christmas gathering on Saturday. 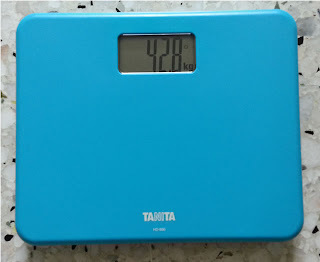 No more big feasts or over eating in the last few years. 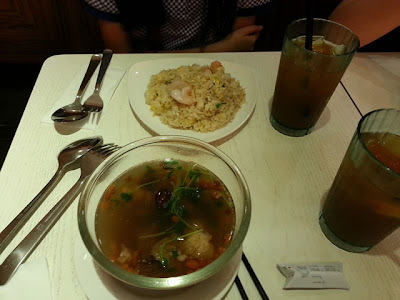 The food remains good but a lot healthier. We have been meeting even before the kids came and one of them will enlist in Feb next year. Some of us only see each other this time of the year. We have become so familiar but there is no contempt. No need to impress each other. That's the way it should be. Just saw this on my Facebook. Note the highlighted line. "Kena arrowed" by PM to do this. Residents will obviously be short changed. Why ask the DPM if they could cope. Ask the guy who has to do the job! Now his party is going to be unhappy with him for being too forthright. Jaquie Lawson is doing very well. I have so many friends using it to send me their Christmas wishes! Far more than last year that I can't even begin to compare. I like Sr Lucille's choice. God bless her. She is more than 90 years old and that's is when you stop counting. She used to count every year before she hit the ninth decade. Just found out from Lucille that is is already 92. Came up only twenty minutes ago on a Friday night. PM, don't ask what is good for the PAP. 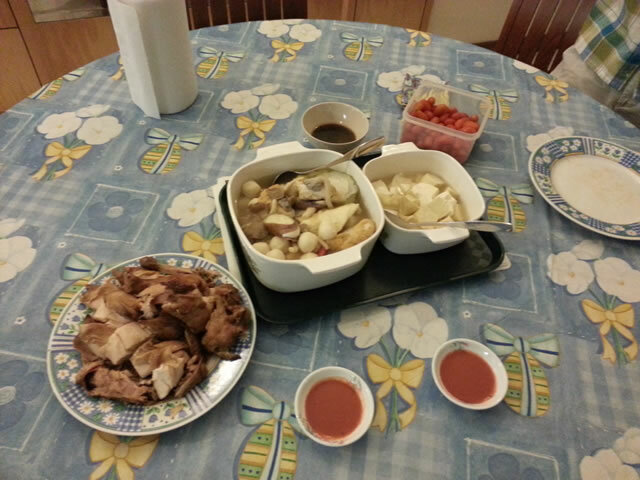 Ask what is good for the residents of Punggol East and what is good for the country. Ask Punggol East if they prefer to have a DPM write letters on their behalf or have a newly elected MP. How could you be so indecisive? The quality of governance is slipping. If you don't show decisive leadership our little red dot will soon be taken less seriously. You can't even advise when you could make up your mind! The no-name PAP ideology need to be reinvented. Why you are running into so much trouble and losing support is because the old ideas no longer work. And it is stupid to blame us. If you insist on going with your old way, you better use your two third majority in parliament and turn this place into an autocracy. Of course, investors will flee. Good thing Singapore is a small country plugged into global network or we would have lost our liberty already. Your kind especially your father had always imagined Singaporeans to be daft and always worried that we would vote foolishly. Isn't it inane to let us have the vote then? If we were indeed stupid, we deserve to fail. Nobody can stop us. You would be even dumber than us to try. Have more faith in your people. Make what is good for the country also good for the PAP. That's the only way to win. And if you fail to persuade us on the rightness of your policies then you don't deserve to win. Respect the rules not just to the letter but in spirit too. Lunch today at Soup Broth Asia in Raffles City. It is not great but alright and the prices are reasonable. The rest of them I think would prefer something else. I was still in bed when I saw this. I think the responses it attracted say it all isn't it? Shafiee Barahim Did we reject in helping the Rohingya refugees recently? Andrew Loh Caring? Gracious? Kind? Compassionate? Yea, we have heard all these before. But they are all meaningless when our govt does heartless things like this, and then wonder why we aren't a "caring and gracious society". Patrick Tan Where got time? All time spend working so that can pay for all the increases. Money also not enough to use. I don earn millions every year n I don know how to carry balls. Mohamed Mod @chiayongjian I believe thats the problem with Singaporeans, they keep saying the govt needs to take the lead. We as citizens can take the lead too, by making organisation, movements, etc that leads such movements without the government's help. Abdul Salim Harun Not all can afford to give money and time to charity. Cost of living is going up, people are working doubly hard so that they can earn enough just to feed and support the family. Many are taking up 2nd jobs. Andrew Lee Who say so. Singaporeans have give so much blood money and times to charity. PAP Minister Salary Foundation Funds. Tan James Did I read wrongly. Shame, you say? Helping strangers? How? In case you haven't read the news, we sure didn't get off to a good start for 2013 in the rankings by witholding aid to the refugees rescued at sea and refusing to let the ship dock for supplies. I guess the Singapore Kindness Movement was barred from the gov't to be caring and gracious that they did not make a statement at all. Err, in fact I don't even remember the last time I heard from them. Hopefully their photographers will be out on their make believe photo-ops soon to assure S'poreans that kindess is very much alive. Without taking a cue from the Singapore Kindness Movement, it is really very hard for government and the people to be kind. Koh Jie Kai Dear Mr Goh (and what I assume to be the rest of your grassroots team). The reasons for why Singaporeans are not especially charitable or happy are complex. But I suspect that a large part of this has to lie with the culture that our establishment (the government, the grassroots organisations, the mainstream media, and our business leaders) has created. Firstly, our establishment doesn't really understand that people can be motivated to do good and be good for reasons other than material wants and needs. If this were not so, why else for example would our establishment think it morally appropriate to reward youths with cash awards for good behaviour? Or for that matter, free car parking for grassroots leaders? Secondly, our establishment encourages a culture of despising people who are thought to be "losers". A corollary of this is that there is great fear of being thought to be a "loser" (i.e. kiasuism). Your social status (or lack thereof) in Singapore is dependent on whether you are academically and materially successful, whether you are married, whether you have children, and whether your children in turn are also academically and materially successful. The establishment must have noticed that far too many people who have all of the above to look down on people who lack one or all of the above. Why should the establishment be then so surprised at the lack of charitable intent to help one's fellow man or woman? After all, if our society is one which prizes meritocracy as a core value (as our prime minister has said), wouldn't being charitable or compassionate be a sign of betraying this core value and a way of propping up "losers"? Thirdly, our establishment encourages a culture which lacks self-awareness and self-reflection. Our establishment's instinct whenever less palatable aspects of our culture are raised or discussed is to engage in denial - both about the problem and their role in contributing to it. Who here will be surprised if our media follows up on this report with loads of "feel good" stories about how in fact, there are Singaporeans who do engage in charitable works and are not especially obsessed by material gain? Obviously, there are Singaporeans who are active in charity or civil society, are content with what they have, and are kind and good people. But many others are not, afflicted by the prevailing culture we have. If Singaporeans really want to deal with our culture of unhappiness and selfishness, some acknowledgement about how many of us have in a way contributed to this culture would be a good start.